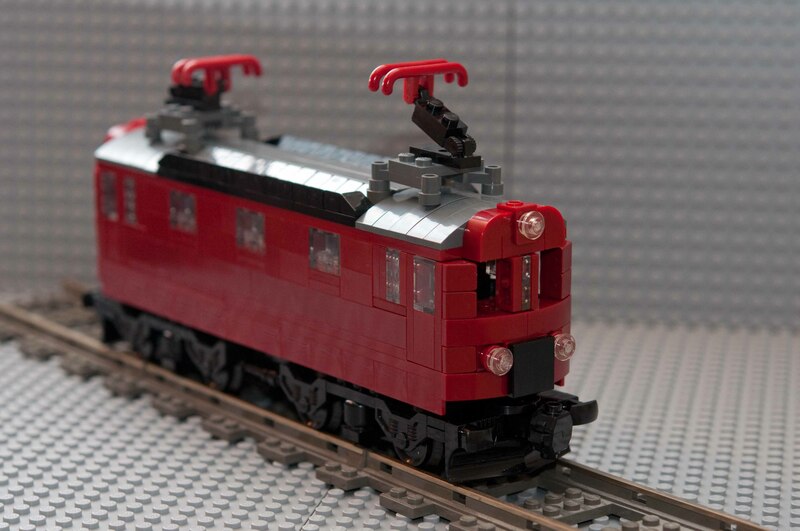 I wanted to re-create in Lego a Swedish famous electric locomotiv, namely the DA-class engine. when the wheel boogie is assembled under it. 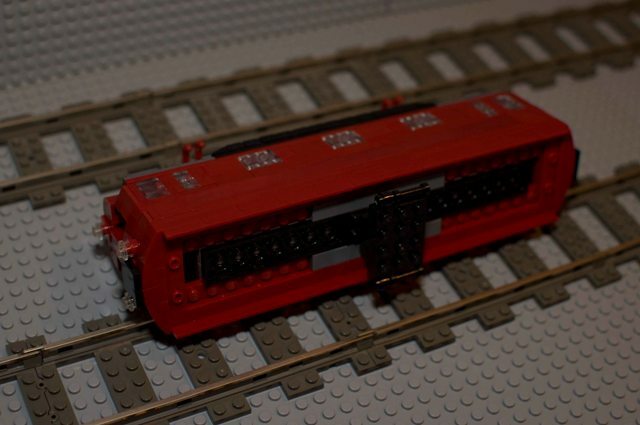 and overall dimensions as a train base plate. And this is the final result, a Swedish class DA engine. I inverted the 1 x 2 tile modified with handle as a mudguard on my fire engine.